Eight years after William Malone's mildly diverting House On Haunted Hill remake, a "highly anticipated" sequel (it says here on the press release) crawls out on DVD. Enter at your own risk! 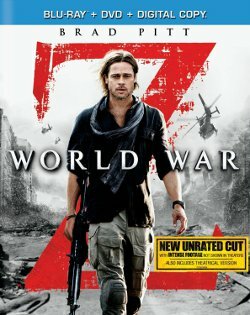 The movie industry's rapacious appetite for sequels is self-evident with Resident Evil: Extinction and Saw IV reaching UK cinemas in the last month alone. 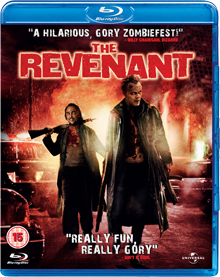 But within this maddening culture for regurgitating what's gone before, bereft of any original ideas, is an even sadder sub-genre - the direct-to-DVD sequel. How else to explain the likes of Hollow Man 2, The Butterfly Effect 2 or I'll Always Know What You Did Last Summer, worthless attempts to establish or maintain a franchise to films that were hardly spectacular to begin with, cashing in on the audience’s brand recognition. The latest example to hit our shelves is Return To House On Haunted Hill, the first release from Warner's direct-to-consumer production arm, Warner Premiere. Whereas the 1999 original - itself a remake of the old 1959 Vincent Price classic - boasted a solid cast including the likes of Geoffrey Rush, Famke Janssen, Taye Diggs, Ali Larter and Jeffrey Combs, the sequel is populated by a cast best known for their television work - Righetti (Entourage, The O.C. ), Vincent (Bones), Palladino (ER) and Potts (Primeval). Only Combs returns to reprise his role as Dr. Vannacutt, the sadistic doctor whose evil spirit haunts the former mental institution. The film opens with a montage of shots showing Dr. Vannacutt's patients revolting against him, just to remind viewers of the set-up of the first picture, all cut to a credit sequence which clearly apes the Dawn Of The Dead remake. Still, what did I expect? Originality was never going to be this film's strong point. Continuing some time after the events in House On Haunted Hill we meet Ariel (Righetti), whose sister Sara was the sole survivor from the group of people who'd been invited to stay in the house by Geoffrey Rush's eccentric millionaire. With Ali Larter busy making her name with Heroes these days, she’s unsurprisingly absent here, so Sara's character is quickly bumped off in suspicious circumstances, and in steps Ariel to investigate. It seems that Sara had been obsessed about proving her story and had managed to obtain Dr. Vannacutt's secret diary which now falls into Ariel's hands. Said journal however is wanted by two other opposing parties: archeology teacher Dr. Hammer (Steven Pacey - yes, that Steven Pacey who played Tarrant in Blakes 7 all those years ago!) and his eager researchers Kyle (Potts) and Michelle (Vincent); and former student Desmond (Palladino) and his bunch of goons. They both believe that Vannacutt's writings will lead them to the Baphomet idol, a statue worth millions which is believed to be hidden within the old house. It's Desmond who gets to Ariel first, quickly revealing himself as the bad guy - yes, it was him who killed Sara - and duly taking Ariel and her photographer boyfriend Paul (Riley) hostage so that they can lead his group to the treasure. Typically, within minutes Dr. Hammer and his crew also arrive at the Vannacutt Mansion and before long the evil spirits awaken and the house closes its doors, trapping them all inside. What happens next is all too predictable with the various groups splitting up, crossing and double-crossing one another while they try to stay alive - and find the statue. If you're only watching this for the gore then fair enough, this ups the ante a little more towards the Saw generation since the first film. There are enough set pieces to satisfy most tastes, and they're executed reasonably well, including someone getting ripped through a wall by their entrails and another unfortunate whose face is sliced clean off. There are also the customary goth nurses and lesbian ghosts there to titillate with a quick flash of their breasts. Which is all well and good, as long as there's a decent story to go with it - but sadly that's exactly where Return To House On Haunted Hill is most lacking. The whole evil statue plotline obviously propels the adventure, but is faintly ridiculous - the idea that Vannacutt was an art collector controlled by the evil Baphomet combined with the notion that the house is somehow 'organic' is simply laughable. What's more, the characters are given little time to breathe; I'm not saying a two hour cut would improve matters substantially (there's too many bloated films these days as it is) but at a scant 70 minutes before the end credits roll, a little extra time devoted to fleshing out the characters to give us people we invest an interest in might not have gone amiss. 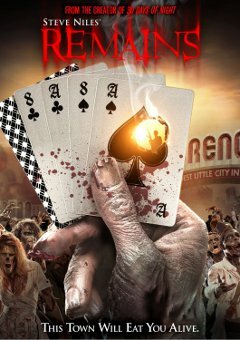 Technically it's competent, with the director and cast doing the best they can with what they’ve got, although it's a shame to see Jeffrey Combs reduced to such a thankless role with barely a line of dialogue to his name. It's near impossible to find a direct-to-DVD sequel that improves on the original (the forthcoming Wrong Turn 2 being perhaps the only example I can think of) and Return To House On Haunted Hill is certainly not one to buck that trend. 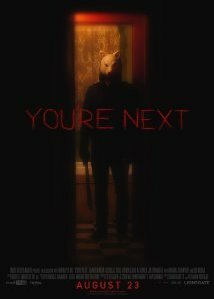 Whilst no worse than many other sequels, it offers nothing new or original to the viewer, and apart from some well handled death scenes there's little to recommend here. However, if you're a particular fan of the previous House On Haunted Hill then I suppose you could do worse than pay the old haunted house a further visit. 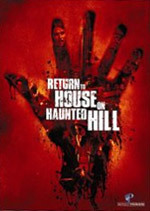 Return To House On Haunted Hill is now available on Region 2 DVD from Warner Premiere. 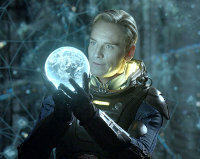 For more information visit www.warnerbros.co.uk.